One of the more uptempo rockers on the A Hard Day's Night album, Tell Me Why was written by John Lennon for the concert sequence in the film. 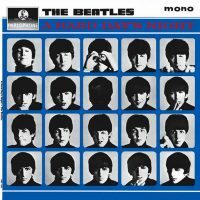 Although Lennon dismissed Tell Me Why as a throwaway, Paul McCartney later suggested the song, along with others written for A Hard Day's Night, was partly autobiographical. I think a lot of these songs like Tell Me Why may have been based in real experiences or affairs John was having or arguments with Cynthia or whatever, but it never occurred to us until later to put that slant on it all. Tell Me Why was featured in the 'studio performance' sequence of the A Hard Day's Night film. The Beatles mimed to it in front of 350 screaming fans at the Scala Theatre, London, on 31 March 1964. There are four I really go for [in the film]: Can't Buy Me Love, If I Fell, I Should Have Known Better – a song with harmonica we feature during the opening train sequence – and Tell Me Why, a shuffle number that comes at the end of the film. For reasons unknown, John Lennon's vocals in the film are different from either the mono or stereo studio versions. The Beatles recorded Tell Me Why on 27 February 1964 in Abbey Road's Studio Two. It took the group eight takes to perfect. During the same session they also completed And I Love Her and If I Fell. I don’t have Lewishon book right here, but I think George didn’t sing on this one. The harmony was too high for him, so it’s John on lead vocals and John and Paul on harmony. I think you’re right. George is listed as doing harmonies in Revolution In The Head, but I’m not sure he did. He did. See my post below with isolations of the three parts. This song just doesn’t sound like it was recorded very well, even the remastered version doesn’t sound good…or maybe I’ve just heard it in stereo, does it sound better in mono? Lennon sang lead and harmony vocals. Everett says the piano was wiped. No, the piano is clearly there, especially the low octaves are well audible (maybe he plays only the bass notes). I hsve to check the backing vocals with headphones. Some are John, but I think I can at least hear Paul. You can defintely hear the piano at the end of the middle eight or bridge. Whatever it’s called. I always thought that Ringo’s drumming on this track was fantastic, and should have been brought up more in the mix. It is such a shame that most of the fills are buried. Still a great track though. This is one of my favorite Beatle songs of all time – it really is very different and the syncopated breaks make the song take off like a rocket – along with Riingo’s manic drumming. Seeing AHDN for the first time in 64 – I can tell you when that song come on at the end – the theater went nuts. At the same time, I have always felt the production clarity was somewhat mushy – in particular the falsettos seem to overload and burn a bit. But this song takes off from the first beat and never stops – imagine trying to write this one! Great song! To my ears, this one always sounded more Motown-ish than “Got To Get You Into My Life”, even. George sings harmony on this, all on one note like a drone. Here is a link to George’s harmony part. Wow, this is fantastic, thank you for posting it! Do you have more of this sort of thing? Another thing about this track is that it features a particularly resonant vocal by John, a sort of perfect harnessing of nasal resonance or something. Something about his voice just seems to have a little more oomph than usual. It also doesn’t appear to be double-tracked, right? Perhaps this has something to do with it. Does anyone else notice anything like this? I agree with you about John’s driving voice, I think it sounds kind of agonized and begging and perfectly matches the lyrics. But his voice IS double-tracked which can be heard very easily as it wasn’t double-tracked too precisely. At around 0:45 you can hear the “t” (of “Tell me why”) twice, for example. There’s somebody talking and clapping in the background in the intro.